Probably the worst photo we have ever received came from Mike Statham, part of the Research Team at the Friends of Insole Court, formerly Ely Court, Llandaff, near Cardiff in (Wales). Appears to be a double exposure taken before WW1, found in archives of Clarke's of Llandaff, in church restoration. 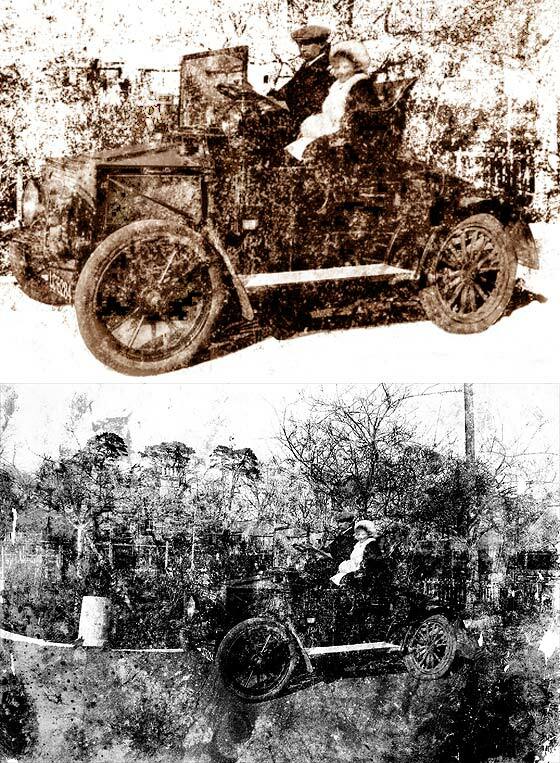 -- Lot of photo restoration work was required to establish the outline of the car to look for ID features, mesh side panels, which advised it was a cca 1904 White Steam Car Model D.
We recently held our Annual Dinner and were very fortunate to have Nicholas Owen (UK), the well know BBC/ITV Television personality, as our guest speaker. In his latest book 'Days Like This' was a photo of his Grandpa Robert Owen who was a Chauffeur in London, driving a car nobody had so far identified. He wondered if we could. -- With help from one of our experts we were able to advise it was a cca 1905 Humber 8'10 Rear Entrance Tonneau, the radiator being used for only one year. 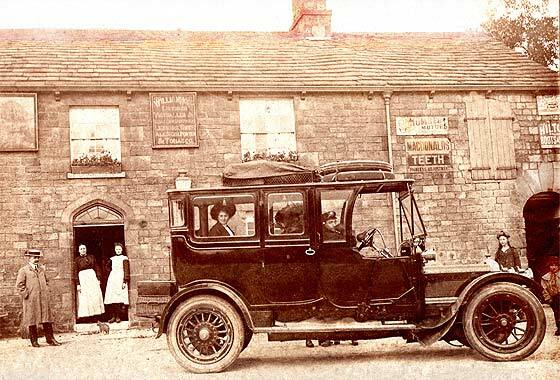 Gorgeous photo received from Alan Weeks, Swythamley Historical Society (UK) trying to identify the car taken outside the Royal Oak pub, in Rushton Spencer, North Staffordshire. They wonder if Lady Brocklehurst is sitting in the rear and whether it's a Daimler and of what date? -- Indeed a Daimler but difficult to date because has straight scuttle, so c1906/7, but has driver's door and chunky mudguards of c1911. So possibly it is a cca 1907 Daimler 35 Limousine updated later. Very grainy photo received from Alan Seccombe (UK) asking if we could advise him of the date and type of vehicle. There are two faint persons seated in the car. The registration number is T700. The photo has come down the generations. Seems taken in the UK. -- Two people on car not visible. 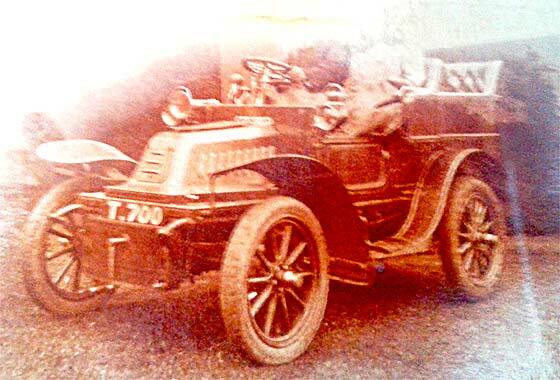 If the photo was taken in the UK then the registration T 700 would have been issued by Devon County Council in early 1907. The car is French and is a cca 1907 De Dion Bouton 8HP Rear Entrance Tonneau. Interesting photo received from Roger Weaver of Elkhart (USA) of Gr Gr Uncle, W. O. Hershberger, driving a REO in Seward, Nebraska. 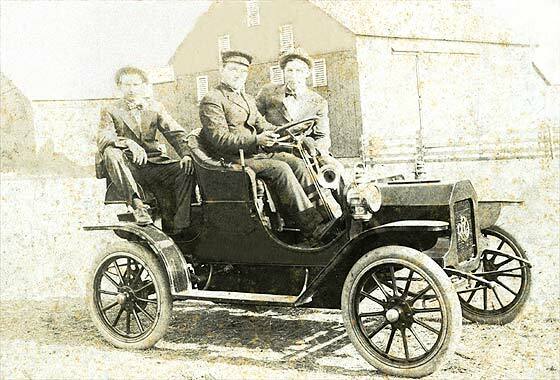 Brother Harv was pioneer auto dealer in 1901, having later Buick & REO dealership. Brothers grew up Amish in Holmes County, Ohio and both embraced modern technology. -- This is indeed a REO and from shape of radiator area, and having running boards this is a cca 1908 REO 8'10 Runabout. 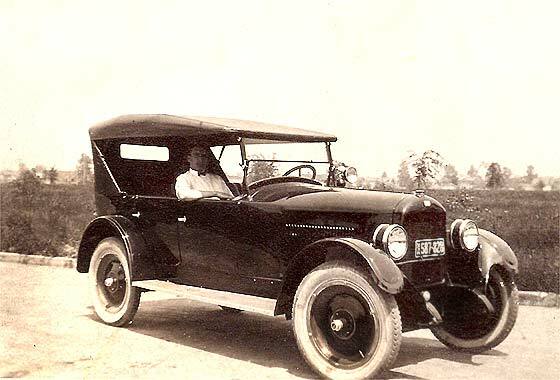 REO was formed by RE Olds when he left Oldsmobile in 1904. Lovely photo received from Roger Bishop (UK) who is trying to identify a car on behalf of the Tourist Office of Verdun. 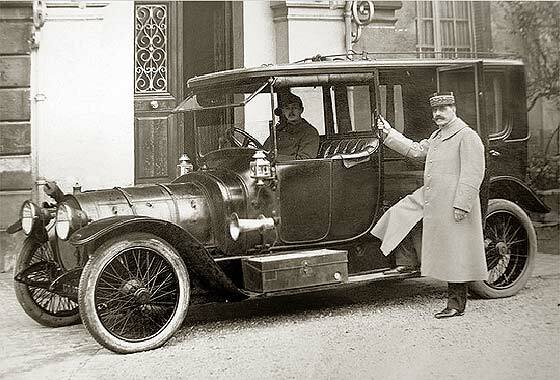 Photo shows a rather grand car with General P. Berdoulat beside it. Do we have any ideas on the make. -- A Number of cars had circular rads/bonnets but most had eccentric rad surrounds. Only one, and for short time only, had them concentric, so this is French cca 1909 Delauney Belleville Town Car, poss the 24HP. One of most prestigious of cars, used by European Royalty. Our good friend Leif Holmberg (Sweden) with whom we regularly correspond on identification of old car photos is currently helping one of his local museums to identify cars and motorcycles. He recognises the car on the right as the Georges Roy but has forgotten the badge of the car on the left. -- German car built in Chemnitz by the 1896 bicycle maker Winklhofer & Jaenicke; a cca 1913 Wanderer Puppchen made 1912-24. Has to be a relatively early car ; my guess the W1 of 1912-13. 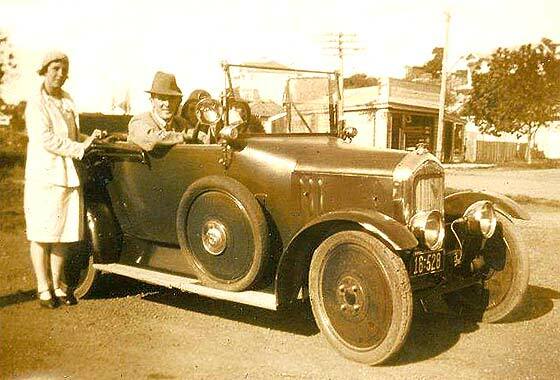 Photo passed to us by Mark Dawber (New Zealand) on behalf of Ken Morris who has inherited a number of old photo's featuring father-in-law who died aged 97 and many feature cars in the 1920-30's. Hoping to complete a family history with as much detail as possible. -- The car was made in Kensington, London by company initially assembling the French Clement. 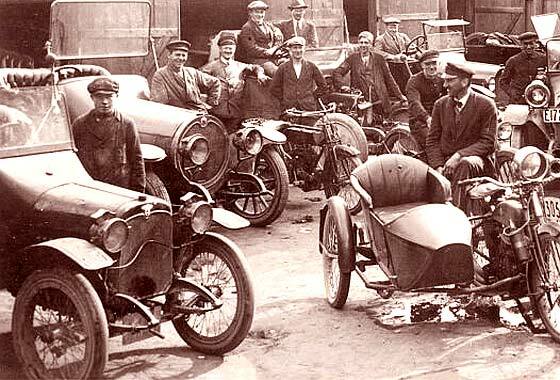 First car factory in Britain 1903. 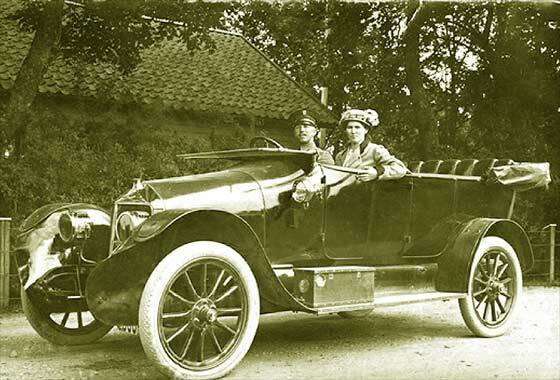 This is a WW1 era cca 1914 Talbot Tourer, probably 12HP or 15'20. Roots 1956, Chrysler 1967. Interesting photo received from Roger Weaver of Elkhart (USA) of grandfather c 1916 near Protection, Kansas. Rumoured grandfather's first car and that it was an Apperson Jack Rabbit. Grandfather became an auto mechanic and ran his own shop for more than 30 years. -- Not an Apperson. Badge should have given it away. No windscreen stays, exposed door hinges and electric lighting pinpoints this to a cca 1914 Chevrolet Royal Mail H2 Roadster, two-seater, four cylinder 2.8L engine. Another lovely photograph from our regular contributor Cicos Florin in Constanta by the Black Sea (Romania) who is interested in old cars of Romania. Do we know what this vehicle is? Is it a Renault? -- Tank is Renault but lorry is not. Rather advanced French company which had developed front wheel drive in 1897 and were making 4 x 4s in 1911. This is a cca 1915 Latil TAR Artillery Tractor used extensively in WW1, exported to Romania. Tank seems the famous cca 1918 Renault FT17. Another set of lovely photographs from our regular contributor Cicos Florin in Constanta by the Black Sea (Romania) who is interested in old cars of Romania. Do we know what the car is? -- Obviously American, as most cars received from Cicos of the period seem to be. This one was made in Detroit by a company that was the remnants of the 1901 Henry Ford Company. Ford left in 1902 but the company survived as the Cadillac Automobile Company. This is cca1919 Cadillac Model 57 Touring. Glass negative photo received from Geffrey Jewell from Detroit Michigan (USA) saying he has an old glass negative that he cannot identify. Can we help? The ring handles and the 7 lug wheels seem to be definitive. Thank you in advance for any help you can offer. -- One of the few car makes not from Detroit but from the nearby South Bend. Made by a company that started in electric vehicles in 1902. This is a cca 1919 Studebaker EH Light Six Sedan. Merged with Packard, closed 1963. 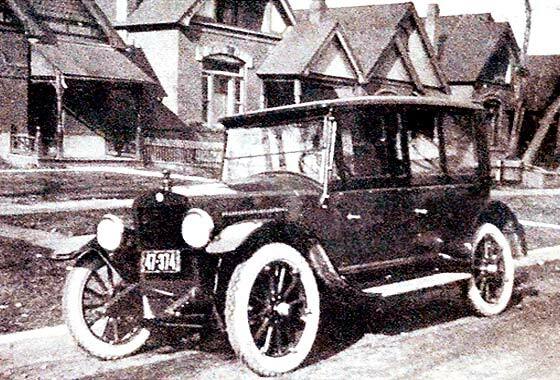 Slightly grainy photo received from Ron Emrich from Philadelphia (USA) of grandparents' car taken c1920 in Denver, Colorado. They made several cross country journeys in this car, from Denver to eastern Nebraska, eastern Iowa, Washington, New York, Boston, Niagara Falls, and Toronto. 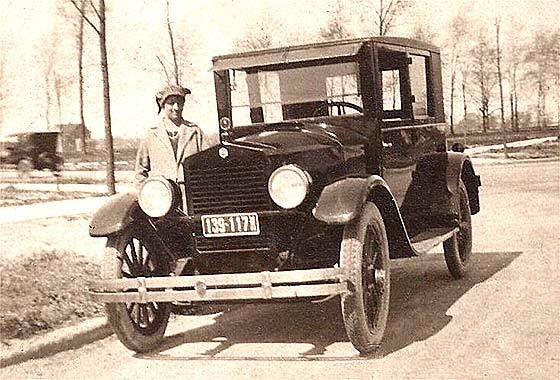 -- A slatted rad, six sided badge, and slanted windscreen all suggest a c1921 Essex Four Touring. However, the windows along the side seem to be a sedan. Tourer fitted with aftermarket 'California Top'! 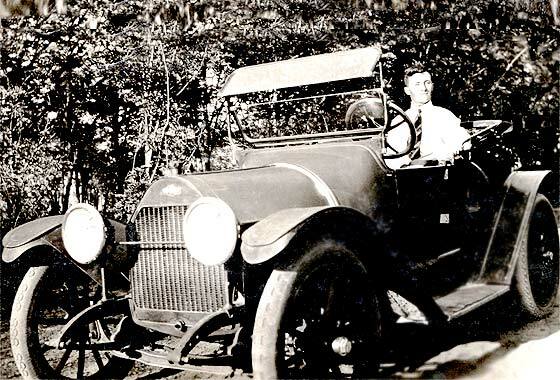 Interesting photo received from Sandy Steele (USA) saying he knows nothing about this beautiful old car. The photo was found in old family photos assumed taken in Saginaw Co., Michigan in the 20's. Would appreciate anything we can tell him about it. -- Relatively unusual quality American car made by a sub of Paige Detroit Motors. This is a cca 1923 Jewett Six Touring De Luxe, fitted with a 50HP Continental engine. 100,000 Jewetts made, but reverted to Page 6-45 name 1927. Surfing through the internet in attempting to identify old vehicles we often come across photographs or old Postcards, including those on Rootschat and those for sale on Ebay, of very interesting ancient machinery which has not yet been identified, so we have a go ! 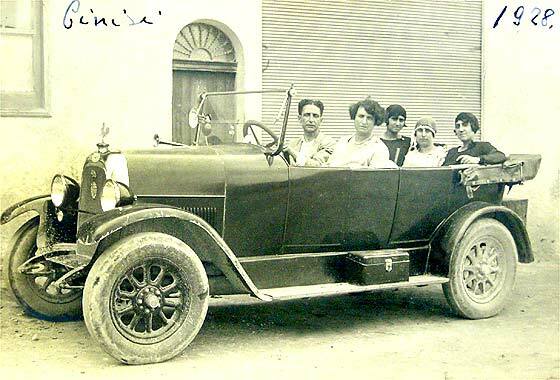 -- This seems to be a cca 1923 FIAT 501 Torpedo photographed in Cinisi in 1928. Cinisi is near Palermo Airport in the north west of Sicily and is known for its dairy festival and parade which has papier mache floats. 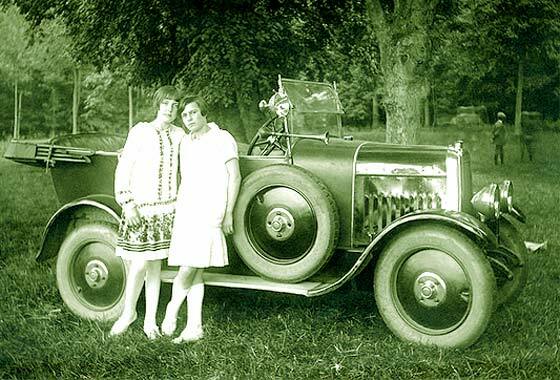 Photo passed to us by Mark Dawber (New Zealand) on behalf of Ken Morris who has inherited a number of old photo's featuring father-in-law who died aged 97 and many feature cars in the 1920-30's. Hoping to complete a family history with as much detail as possible. -- The car was made in Coventry, England by company started in 1874 making bicycles. Then made motorcycles. 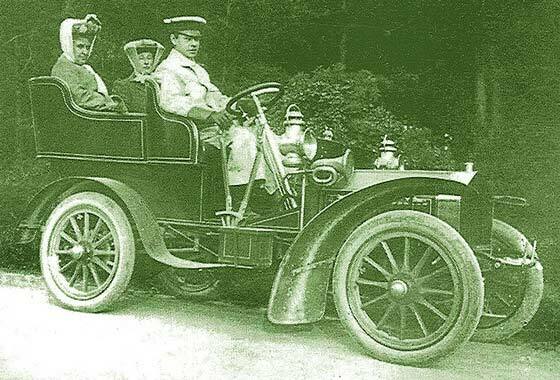 First car in 1905. This is a cca 1924 Singer 10 Two-Seater 1100cc. Became Roots 1956 and Chrysler in 1967. Another interesting photo received from Sandy Steele (USA) saying he knows nothing about this beautiful old car. The photo was found in old family photos assumed taken in Saginaw Co., Michigan in the 20's. Would appreciate anything we can tell him about it. -- Economy version of the Hudson. A slatted rad, six sided badge, very similar to another car on this page. 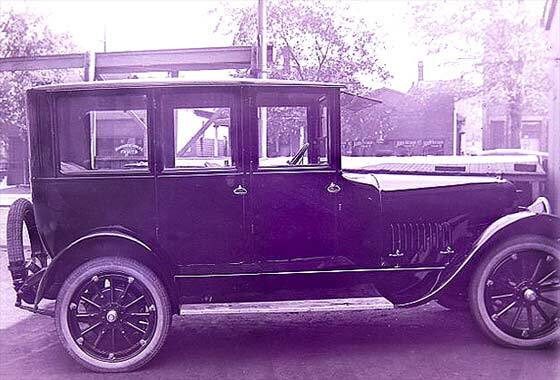 This is a cca 1924 Essex Coach Two-door, fitted with new six cylinder engine. 1.13 million sold by 1932, when name dropped. 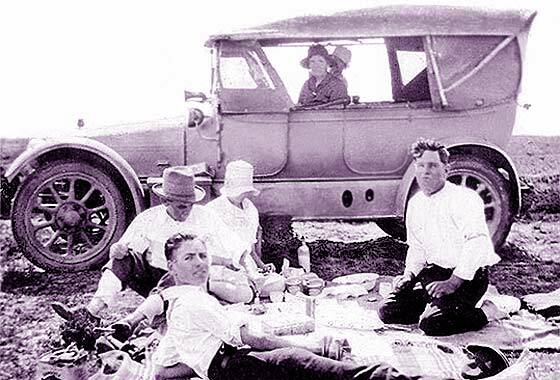 Lovely photo received from Andrea Burt (Australia) taken in New South Wales, in 1925. Can we identify the vehicle. No further info on the photo. -- Looks to have been a grand big car with triangular badge on the wheelhubs indicating the American Hudson company. The Charabanc body may have been built in Oz but the chassis is cca 1925 Hudson Super Six, similar to small trucks and fire engines made during the period. Photos on the web of similar Hudson vehicle in Eastern Oz. Another photo received from our regular contributor Raoul Rainer from Stuttgart (Germany) from a batch of photos he purchased recently and has on line. Tourer with a fabric-covered body. Although he purchased the print in Germany the car looks American. Can we advise what it is? 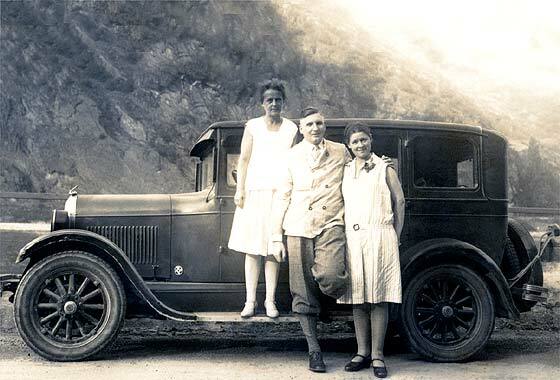 -- We agree it is American and we think it is a cca 1927 Chrysler 70 Sedan. It has drum headlight and bodyline running down behind the rear passenger window which turns backwards; on 1926 cars goes forward. 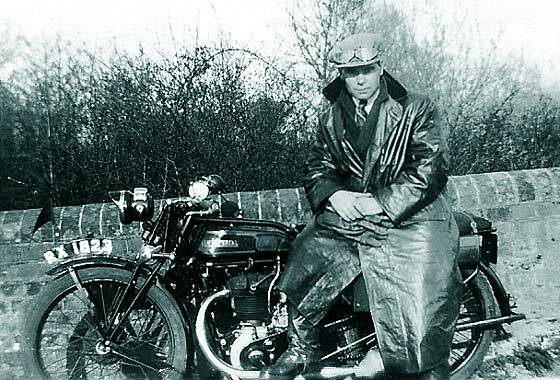 Grainy photo from Steve Dowding (UK) of Grandfather George Hunt on his motorcycle, probably in Sonning, Berks; year/model ? The registration indicates Reading. -- Registration is actually Berkshire County Council, early 1928. Our motorcycle experts Vince and Moody agree this is a cca 1928 New Imperial 350cc OHV Model 6. New Imperial started 1901 and closed 1938. Used Precision and JAP engines but from 1926 their own. Innovative, later developing unit construction engines. 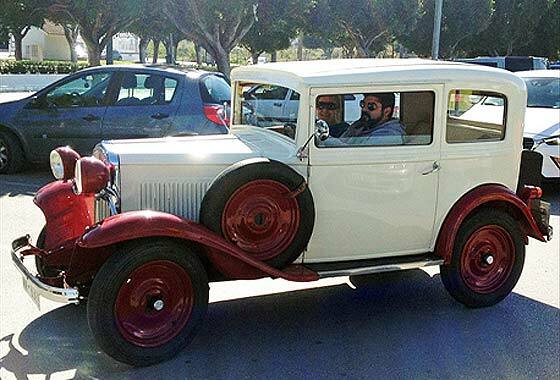 Recent photo received from Derek Squires (Spain) saying he saw this car moving away in Velez-Malaga, Spain, today and has been on Google for hours trying to identify it. Perhaps a Peugeot but doors are wrong, no filler cap and the top of the grille appears to be slightly arched. -- Not French but an American influenced car built in Germany by an American company, General Motors. From the front of roof, this is a cca 1931 Opel 1.2 Two-door Saloon, 22HP 1193 cc side-valve 4-cylinder 4-stroke. Our good friend Leif Holmberg (Sweden) with whom we regularly correspond on identification of old car photos is currently helping one of his local museums to identify cars and motorcycles. Any idea what this one is? -- Three of our experts seem to agree that this is an unusual British car, and it is therefor starnge to find it with a continental body in Sweden. Looks big so we think this is possibly a cca 1914 Palladium 18'30 Tourer by Palladium Autocars Ltd, in Putney; London, 1911-'25. Another photo received from our regular contributor Raoul Rainer from Stuttgart (Germany) from a batch of photos he purchased recently and has on line. Tourer with a fabric-covered body. Although he purchased the print in Germany the car looks French. Can we advise what it is? -- We thought French too because of the Michelin Comfort tyres like on my Citroen 5CV, but right hand drive? 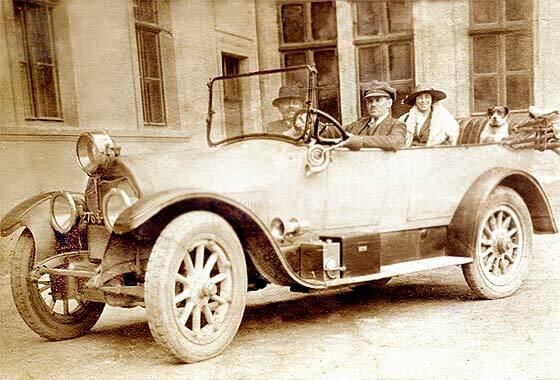 5CV's competitor was the RHD Opel Laubfrosch, and we think this could be the c1925 Opel 4'14 Tourer. Puzzling photo received from Ruddy Sommereyns (Belgium) of a motorcycle found as a negative in a local fleamarket. He does not know what brand it is ... in the background there is a car visible but pity it is not very clear. -- Unfortunately we cannot be much help on either. Our motorcycle experts confirm it is a continental manufacturer but cannot be sure which. 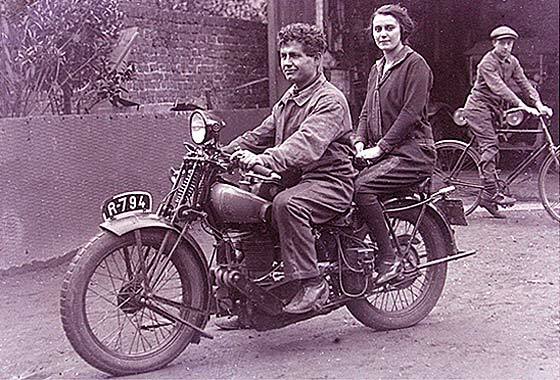 Our Chas Moody thinks this could be a French cca 1929 Magnat Dobron 350 cc ?? Car is not visible enough to try to identify. Puzzling photo received from João Ferreira (Portugal) asking if we can help him to identify this sports car? 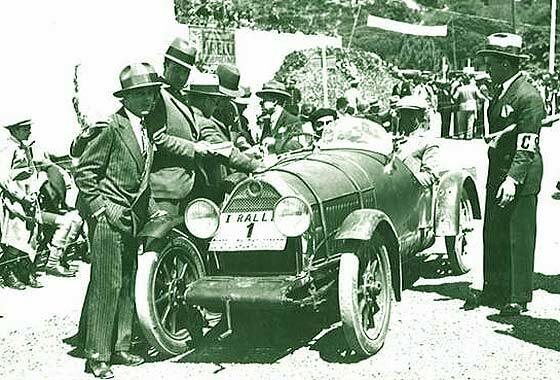 The photo was taken in the early thirties near the recently built " Casino do Estoril". -- The Casino seems to have been built c1916 and WW1 intrigues were the inspiration of Ian Fleming's 007 Casino Royale. Very popular tourist attraction and holds the Moto GP championship race. We have circulated this photo amongst our experts, but nobody has provided any answer. Guard does not help.